We are located in the heart of Legendary Sturgis and the Northern Black Hills of South Dakota. 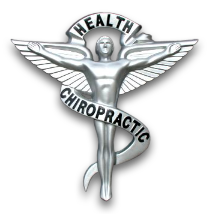 Sturgis Chiropractic was established over 10 years ago and has since been dedicated to providing safe, effective healthcare to families of the Northern Black Hills and surrounding communities! At Sturgis Chiropractic, we go beyond treating your symptoms, we look to diagnose and correct the underlying problem that is causing your pain. Treatment options consist of Chiropractic Care, Acupuncture, Rehab Care, Postural Strengthening, and Nutritional Counseling. Whether you have been injured recently or are experiencing pain caused by normal stresses of everyday life, we are here to help you. Sturgis Chiropractic will work with you to take control of YOUR health by helping you heal while strengthening your body to PREVENT future injury and pain. We aid you in regaining and maintaining your optimal health.